Planet of The Crepes is a mobile catering company with a primaeval passion for good food. They serve their delicious crepes from their fantastic yellow trailer that is a brilliant addition to any type of event - it stands out and will definitely grab the attention of your guests! 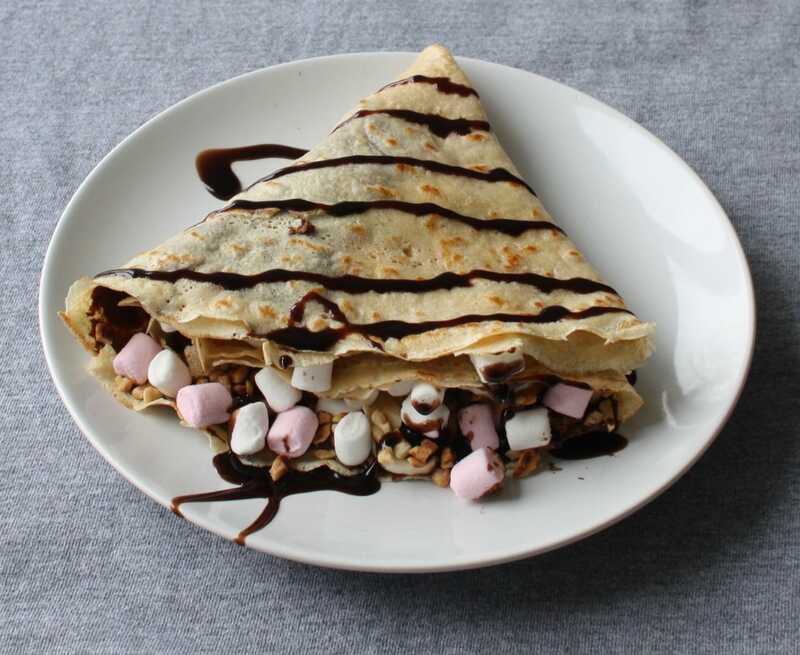 As well as serving the much-loved traditional crepe fillings such as ham and cheese, Planet of the Crepes also serve some fun and different combinations such as their Swedish Meatball crepe made with meatballs, tomato sauce and garlic and the All Day Breakfast, a crepe filled with bacon, egg, mushrooms, tomato and cheese! If you’d like some seriously tasty crepes that are perfectly oozy and cheesy on the inside and crisp around the edges served at your next event, get Planet of the Crepes along! They will turn up with their yellow trailer and make your event, whether it’s a wedding, private party, fair, launch or corporate do, one that will be remembered!